Microsoft’s list of backward compatible Xbox 360 (and original Xbox) games grows at a steady pace and Xbox One fans are all too eager to spend a fairly significant amount playing those titles. 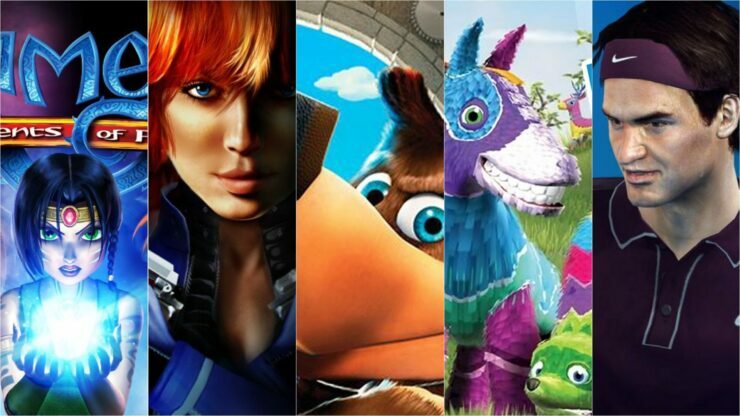 In fact, last we heard, the community had played over 840 million hours of Xbox 360 games on Xbox One. This was back in late February; chances are we’re now closing in on the billion hours threshold. Related Razer Turret for Xbox One CES 2019 Hands-on – Unfair Advantage? Furthermore, seventeen of the most popular Xbox 360 games have also been enhanced for Xbox One X through the Heutchy method. These titles feature massively increased pixel count (up to 4K), 16x Anisotropic Filtering as well as running at a steadier frame rate than on the original hardware; often, this is enough to make them almost as good from a technical standpoint as a current generation game. With Microsoft’s E3 2018 Xbox Briefing coming in a week from now, we thought we’d look at the five Xbox 360 games we’d like to be announced during the briefing as the next ones getting the Xbox One X enhancement treatment. This fantasy-themed action/adventure title had a lengthy development period, dating back all the way to the Nintendo 64. Rare’s concept was initially rooted in Pokémon’s monster-collecting mechanics but evolved into something different when Microsoft purchased the UK studio for $377 million in 2002. The final game featured the titular elf Kameo as she journeyed to defeat her own evil sister and the troll king. The gameplay allowed the main character to turn into ten different creatures to overcome puzzles and foes alike; there were even split-screen and online co-operative multiplayer for up to two players. While it could have launched on the original Xbox, the decision was made to transition Kameo into an Xbox 360 launch title. Kameo was widely praised for its excellent, vivid graphics at the time and getting the Xbox One X enhanced treatment would be the right way to make this title relevant again. 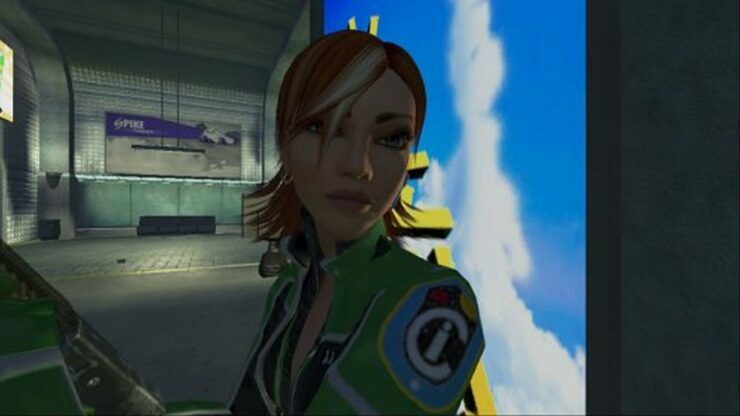 Rare’s second Xbox 360 launch title was the first-person shooter Perfect Dark Zero. A prequel to the first Perfect Dark released for Nintendo 64, Perfect Dark Zero featured a single-player campaign (which can also be played alongside a friend in cooperative mode) and a full-blown multiplayer part supporting two modes (Deathmatch and Dark Ops) over split-screen, Xbox Live and even system link. We haven’t had another Perfect Dark game since, and that’s a shame. Still, with Microsoft desperately looking to bolster its output of first-party games, reviving Joanna Dark could be a great idea and enhancing Perfect Dark Zero for Xbox One X would be the ideal starting point. Viva Piñata was the first new IP made by Rare after joining Microsoft, and it turned out to be very successful when it launched in 2006. 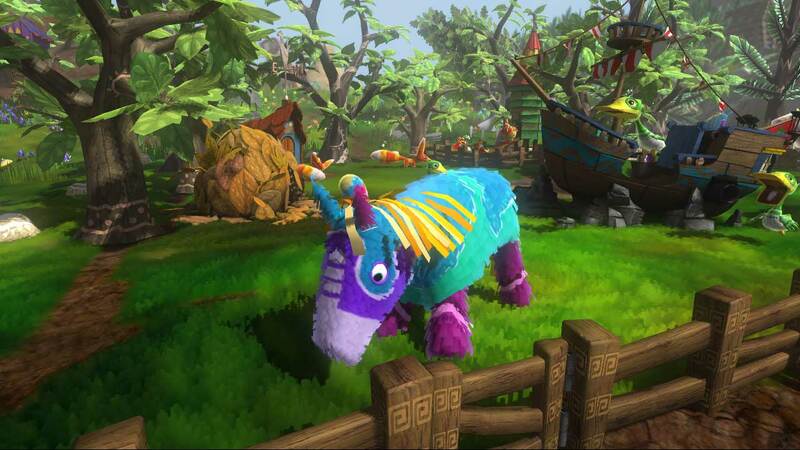 The lovely graphics and addictive gameplay made it a delight to tend to the garden and help the animal piñatas mate with each other. Another traditional Rare mascot, the Banjo-Kazooie bear-bird duo came back with 2008’s Banjo-Kazooie: Nuts & Bolts. The developers initially intended to create a remake of the first franchise entry, but eventually decided to move into a wholly different direction. Banjo-Kazooie: Nuts & Bolts, while retaining some traditional platform elements, turned out to be mainly about vehicle construction. This bold choice proved to be somewhat divisive among fans, but it was a major innovation which massively banked on the player’s creativity. There were over 1600 individual components that could be assembled in the most diverse ways, including ones that wouldn’t actually work due to physics. Nowadays, building stuff in general and vehicles in particular is much more common. Enhancing Nuts & Bolts for the Xbox One X would help showcase this game as the true forerunner of this genre. 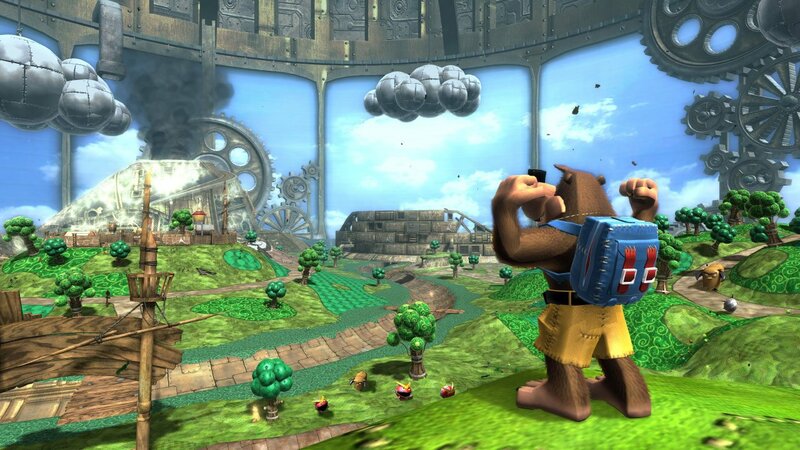 If enough people played it after the enhancement, perhaps it could also prompt Microsoft to bet once again on Banjo-Kazooie in the future. The highest rated game on this list (tied to Viva Piñata), Top Spin 4 is still regarded as the best tennis simulation game ever released, even seven years after its launch. Recent years haven’t been happy for fans of tennis games. Two new titles actually launched in the past weeks, AO International Tennis and Tennis World Tour, but neither managed to really leave a mark. Top Spin 4 is also the only title on this list that isn’t already backward compatible with Xbox One, so Microsoft would have to do that first. 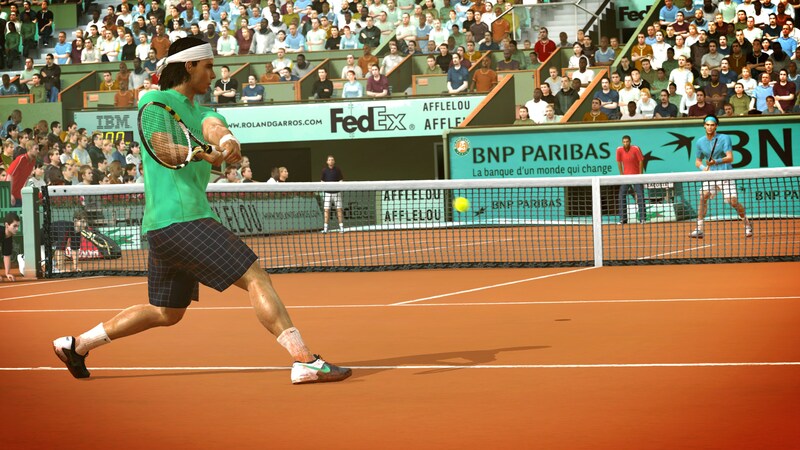 Still, we truly hope they do as it would allow fans to play the best tennis game even on a current generation console; of course, enhancing it for the Xbox One X would be the perfect icing on the cake. Do you have any other Xbox 360 games you’d like to see enhanced for Xbox One X? Write your preference in the comments!